First Avenue Duplexes are spacious, open with vaulted ceilings, and have a huge back yard! Enjoy the convenience of a private attached garage with First Avenue. 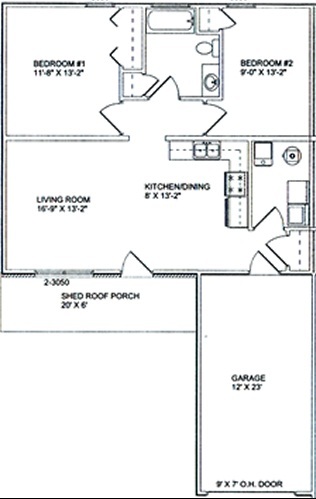 2 Bedrooms, 1 Bathroom, 840 Sq Ft! Features Cozy Front Porch And A Huge Backyard! Blinds On All Windows For Your Privacy! Attached Garage With Extra Storage Space, Remote Controls, And Keypad!